Bandai Breath of the Wild Card & Candy Set & the TRIFORCE Trilogy of Videos! This is Linksliltri4ce from The Legend of Cosplay here with not two, BUT THREE special #LegendOfCollections Unboxing Videos! Today we'll be checking out my personally highly anticipated Breath of the Wild Card & Candy Set! Want to see more of Bandai's Breath of the Wild Card & Candy Set? 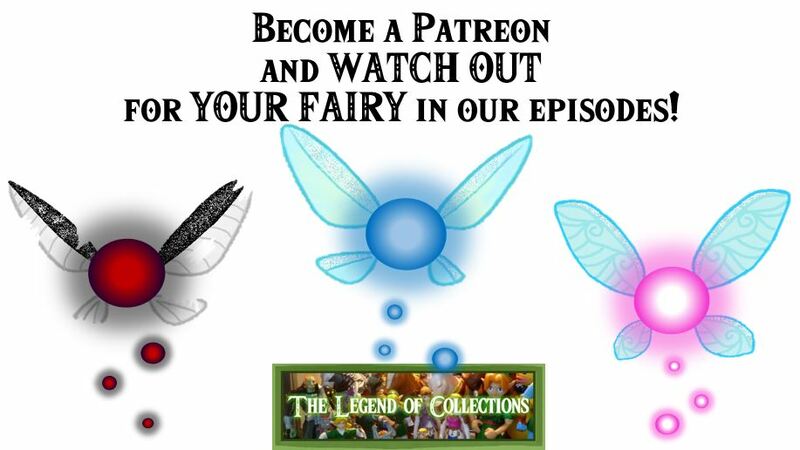 Check it out on my site: The Legend of Collections! Want to Help Out My Channel? Join my fairy army!!! Another 2011 Holiday Mall Tour Skyward Sword Statue Has Been Found! This is the third complete statue to be known to have survived from Nintendo's 2011 Holiday Mall Tour. This statue also included it's replacement sword, making it a 1.5 addition to the family of 10 known statues made for the events. This particular statue was likely from the event that took place in The Parks at Arlington in Arlington, Texas, although it now resides in Seattle, Washington. It is owned by Steve L (Steelotriplenine) and it was originally discovered in a a video by MetalJesusRocks featuring Steve's collection. (See the video here: https://youtu.be/y4QZue-Ribs‬). The sword has been in Steve's possession at least since May 2016 when he posted a picture about it on his instagram account (https://www.instagram.com/p/BE6Mg37GVo0/). Unboxing LoZ Mini Mecha Link from Zelda | The Legend of Collections! Hey everyone! This is Linksliltri4ce from The Legend of Cosplay here with TWO special Legend of Collections Unboxing Videos! Today we'll be checking out this cute little blocky robo-Link! It's here!!! ♥ My first ever Let's Try Dubious Foods Episode! Dubious Foods a subset of my Legend of Collections series since I have made it my task to try out all of my SUPER old, edible Zelda collectibles!!! So today we are trying, against our better judgement, the 2002 Au'Some Candies Nintendo Jelly Pops! What makes today even better is that I have two special guests trying these 16 YEAR OLD Jelly Pops with me! Want to see more of the Au'Some Candies Nintendo Jelly Pops? Unboxing Bioworld NES Zelda Gift Box | The Legend of Collections! Hey everyone! This is Linksliltri4ce from The Legend of Cosplay here with TWO special Legend of Collections Unboxing Videos! We'll be checking out the new Bioworld NES Zelda Gift Box plus a few extra goodies sent to me from The Hylian Shop! (https://www.thehylianshop.com) #NotASponsor ...but let's collab or something, Brandon! Unboxing EnterPLAY Legend of Zelda 2106 and 2018 Fun Boxes | The Legend of Collections! Unboxing The Culturefly Zelda Box | The Legend of Collections! ​Hey everyone! This is Linksliltri4ce from The Legend of Cosplay here with TWO special Legend of Collections Unboxing Videos! Today's items are the Culturefly Zelda box and all of it's random goodies! Unboxing LoZ Breath of the Wild Collector Pins (PowerA) | The Legend of Collections! Hey everyone! This is Linksliltri4ce from The Legend of Cosplay here with TWO special Legend of Collections Unboxing Videos! Today's items are the new Legend of Zelda (Breath of the Wild) Collector Pins! 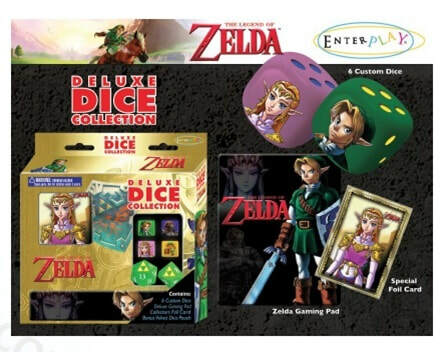 Zelda Deluxe Dice Collection as seen on Mad Al. 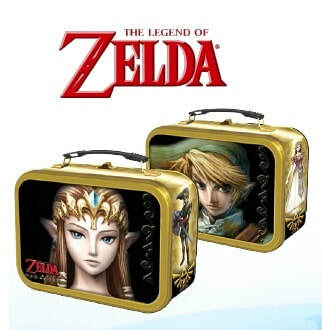 Zelda Collector Tins as seen on Mad Al. Long ago whispers of TCG (trading card game) merchandise wafted gently on the waves of the shores of Lake Hylia. In researching the alluded Breath of the Wild Trading Cards that are slotted to come out this spring, a Deluxe Collector's Dice Collection and Collector's Tins were also spotted.